We just learned about the Firefly Squid that can light itself up. 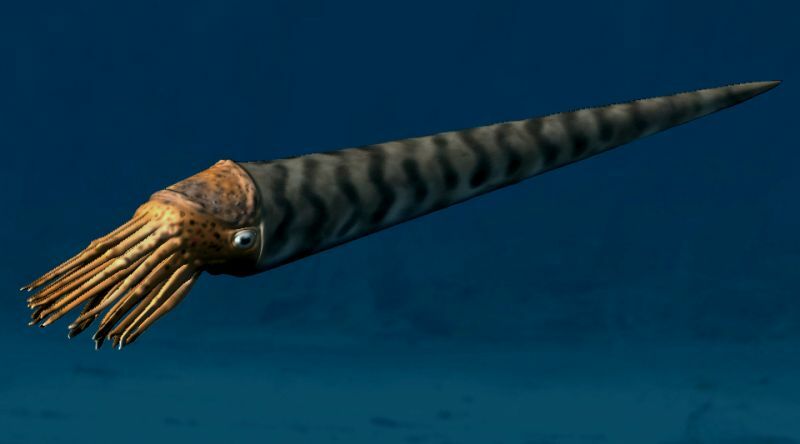 Another cephalopod is the Orthoceras. This is a type of nautilus that is extinct, which means they aren't around anymore. We only know they existed because people have found fossils from a long time ago. They are a type of nautilus, but very different because their body is shaped like a long cone.